At Basketball WA, we believe the game of basketball is an extremely positive influence in the WA community. Subsequently, we believe that Education and Training is central to the continued positive growth of our sport in Western Australia. To ensure we sustain this level of growth and expertise, Basketball WA has taken an active role in improving and facilitating basketball education in WA. Our goal is to provide quality basketball education in all areas: coaching, refereeing, match officials, players, volunteers, and club administrators. 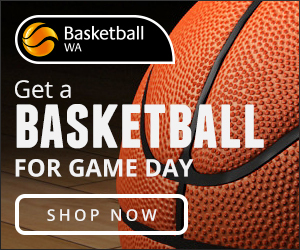 Basketball WA offers both informal and formal forms of basketball education and training. Informal education is offered through events like clinics and workshops. While formal education involves participating in an accredited program, which generally results in state, national, or international recognition of skills and competencies. Coaching can be a rewarding and fun experience for basketball enthusiasts. Basketball WA conduct a number of State and Nationally accredited coaching courses during the year designed to increase the number of qualified coaches delivering and teaching the game to our participants but also to help individual coaches progress in their own personal development and qualifications. There are several levels of Coaching Accreditation with all requiring a Working with Children Check. Below is a quick summary of each of the courses delivered and endorsed by Basketball WA. Please refer to the Coach Education link above for more information. Community Coach: This is the introductory level course which is designed to cover General Principles of Coaching while encompassing basketball specific fundamentals and exploring the role of the coach. Candidates must be at least be turning 13 years of age in the year of the course enrolled and no specific basketball background is required. Club coaches, parents, teachers and secondary students with an interest in sports coaching are ideally suited for this course. Community Coach Course for Remote and Regional Coaches Please contact Luke Brennan at luke.brennan@basketballwa.asn.au or on (08) 6272 0744 to discuss your community coach education opportunities. 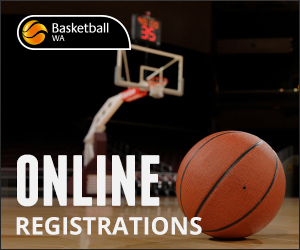 Club Coach: This is a Nationally Accredited course by Basketball Australia and Basketball Western Australia. Candidates need to have completed the Community Coach Course and maintained coaching for at least 12 months before applying for this course. The course takes one (1) day (8 hours approx.) to complete and involves both on-court and off-court components in its content. Typically, coaches in representative’s sides such as WABL should have this level of accreditation as a minimum. Association Coach: This is an advanced two (2) day (16 hour approx.) course that is designed to elevate a coach’s understanding to the standard of the athletes they are coaching. Typically, coaches who are looking to be involved in State teams, various State leagues (SBL, ABA) would benefit from completing this course. There are certain prerequisites in choosing to apply for this level of accreditation. Please contact Basketball WA for more information on enrolling for the Association Coach course. Recognized Prior Learning (R.P.L) Mature-aged applicants may apply for Recognized Prior Learning (R.P.L) with the relevant reasons in their application. Please not BWA do not R.P.L for Association Coach accreditation. A successful R.P.L application will incur a $40 R.P.L accreditation fee. Contact luke.brennan@basketballwa.asn.au regarding R.P.L. For further information on Coach Education or to book a course, please contact Luke Brennan (luke.brennan@basketballwa.asn.au or 6272 0744). BWA are introducing a new structure for associations and organisations to book and or organise a coaching course. For more information on the new structure you can read about it here. 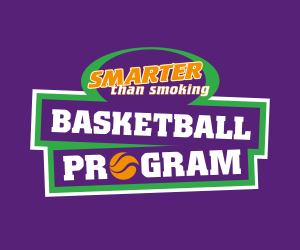 If and association or organization would like to run a course internally (with a BWA accredited presenter), please fill out this form and return to luke.brennan@basketballwa.asn.au. Upon completing a BWA accredited coaching course, you will hold that accreditation for two (2) years. At the end of that timeframe to remain an accredited and active coach you will have to call reception on 6272 0741 before 3pm on any work day and pay an reaccreditation fee of $30 which will give you another two (2) years of accreditation. If you undertake and finish another course within the two years, you will then be reaccredited at your new level for two (2) years from the date of completing the course. For any coach not sure if they are accredited or not please email Luke Brennan at luke.brennan@basketballwa.asn.au to further discuss. Please click here for the List of Presenters.